Let the spirit of love gently fill our hearts and homes, in this loveliest of seasons may you find many reasons for happiness. Below are our trading hours over the Christmas break. 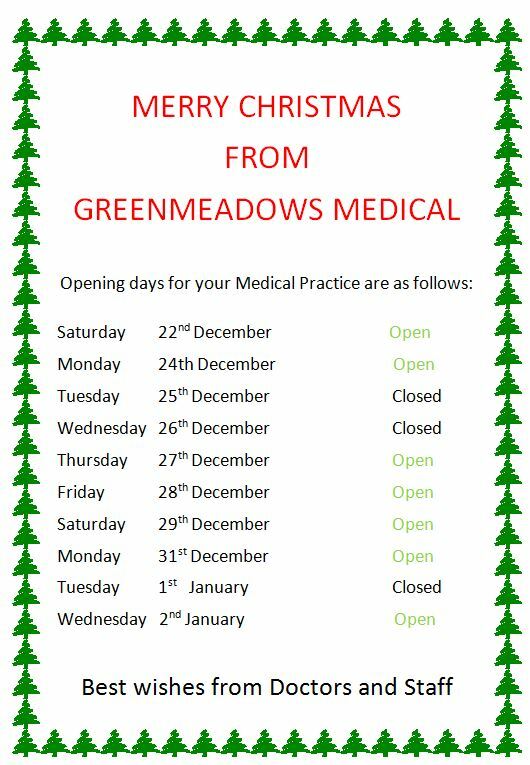 Merry Christmas from the Greenmeadows Medical team.